Matty McGovern is a big, scruffy guy who, according to local legend, worked at every record store in the city before opening his own place. Why strike out on his own? His former employers kept closing down. McGovern is usually at the front, chatting with an audiophile or a record collector about rare finds and prized singles. 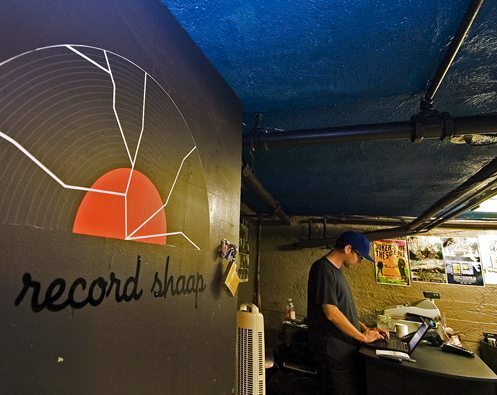 Find The Record Shaap underneath the second-hand clothing shop/lunch spot Gypsy & Co. An odd locale, perhaps, but it reflects perfectly its status as a nexus of hipster Ottawa. And so does the decor: it’s tidy, almost chic, with bright blue walls and a retro decor. 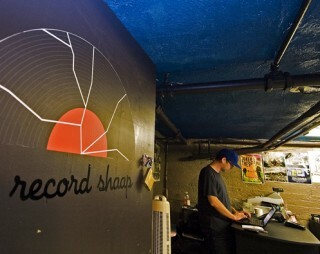 209 Gilmour St., 613-321-0564, www.therecordshaap.tumblr.com. Here’s a perfect spot to pick up decorations for a Mad Men-themed dinner party or donate much-loved furnishings or test your luck with the store mascot (a black cat named Jinx that plays kind of rough). Highjinx opened earlier this year as a non-registered not-for-profit, the result of a dream of co-owners Karen Nielsen and Leigh Reid, two former social workers who were tired of seeing only the admin side of community building. They donate all net profits to help the chronically homeless find a decent place to live. Most of the stuff is brought in by friends, family, and people looking for somewhere more accountable than a drop-off box. Stock changes constantly, but you can be sure to find desks and upholstered chairs — all with that retro look that works so well in the small apartments of Centretown. 621 Somerset St. W., 613-261-3502, 613-864-4289.